Disclosure: The giveaway is sponsored by Silhouette, Craftsy and Persia Lou. 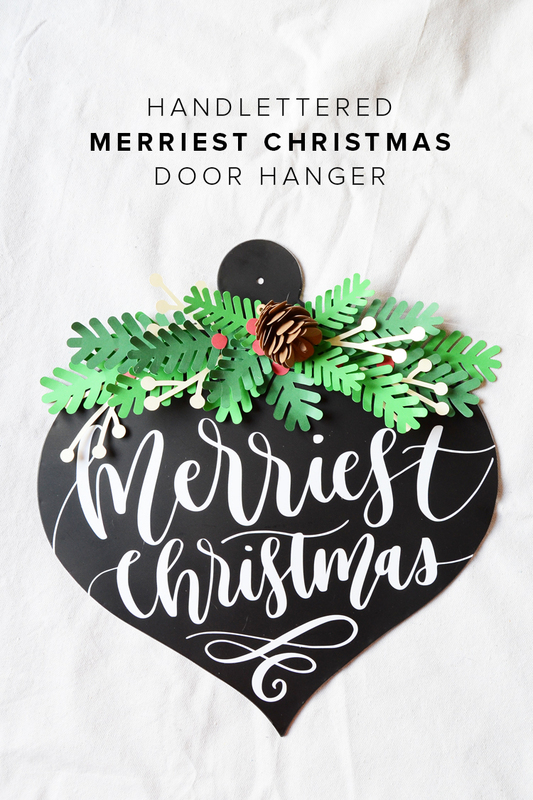 If you're like me, chances are you've been preparing for the holidays - I created this Merry Christmas door hanger to hang outside our little apartment door to add a festive feel! 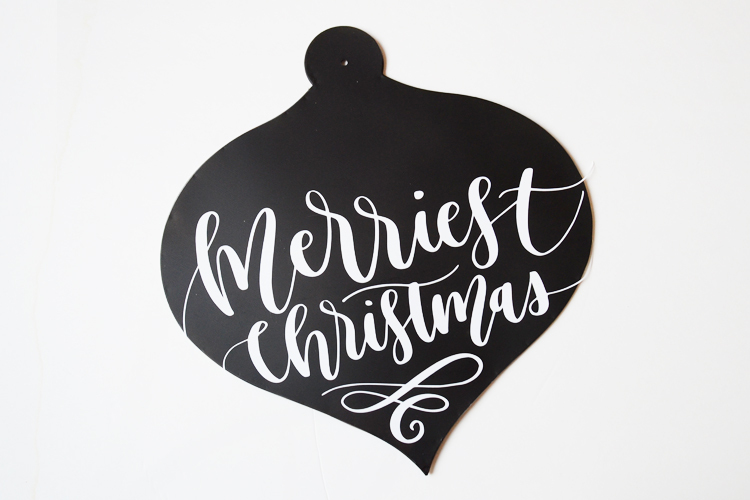 Thanksgiving in Canada have come and gone, so I'm totally free to decorate as I please now :) And while Thanksgiving in the US is still more than a week away, it won't hurt to jumpstart on your DIY holiday decorating, don't ya think? Don't forget to read on and join our giveaway for a Cameo 3, a collection of vinyl from Expressions Vinyl and the Silhouette Saavy: Venture into Vinyl Craftsy Class by Alexis from Persia Lou! Woohoo. This DIY is so easy! 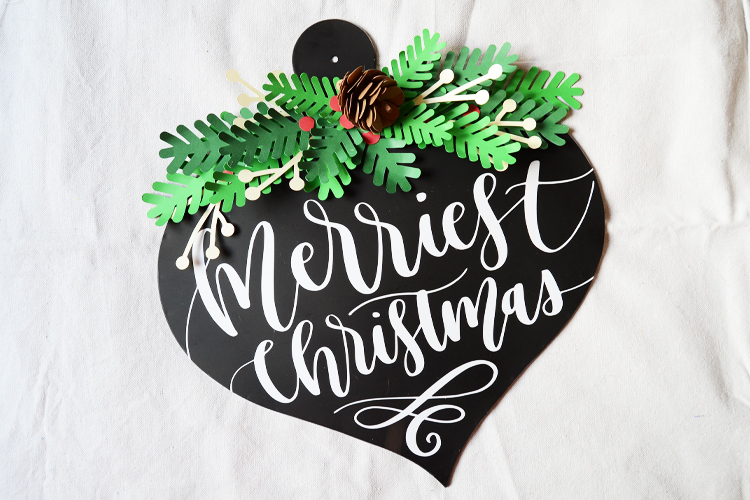 First, find a fun shaped surface - I got this tin ornament shape last year at Michael's on clearance, but you can definitely find something similar or even create your own! 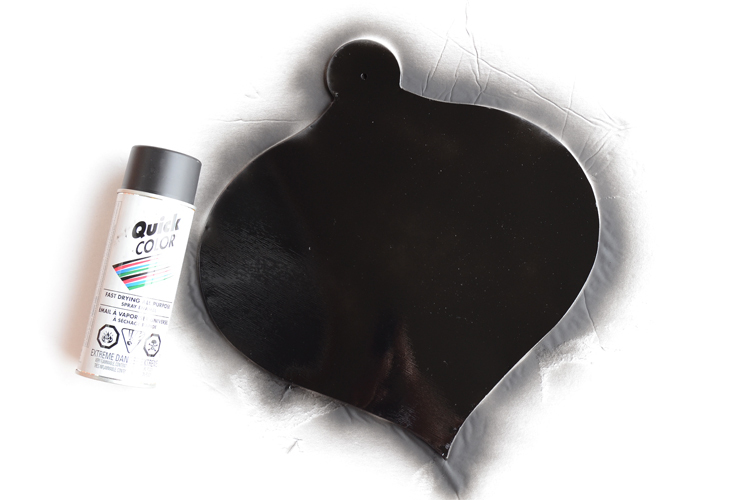 Paint your surface - of course, spray painting is the easiest way, but you can definitely just brush paint on it. Measure your surface and size your sentiment before cutting it out on your Silhouette. Once cut, weed the negative areas - I find using a Silhouette hook makes this job much much easier! Attach your weeded vinyl by transferring it on with some transfer paper. Cut off the excess on each side for the perfect fit. 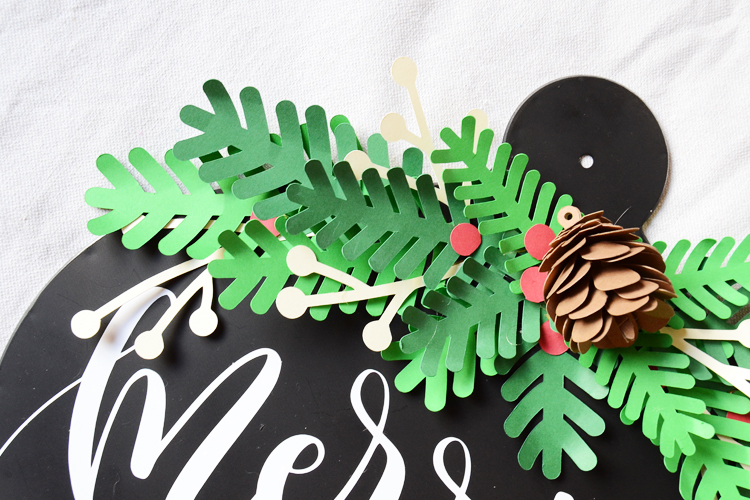 Cut out different Christmas themed elements - I used pine, some sprigs and even a 3d pinecone. 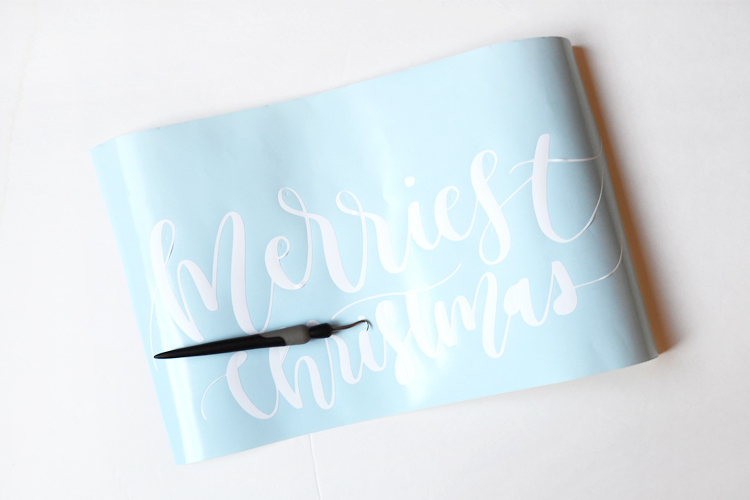 Of course, you can take a shorter route and use Christmas decor you can buy to decorate your hanger. But I find this is much more fun! 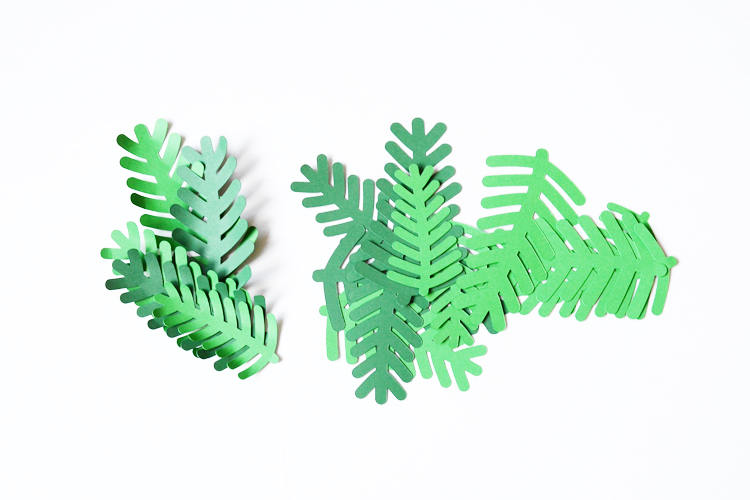 Arrange your elements and glue them down using a hot glue gun, and you are done! 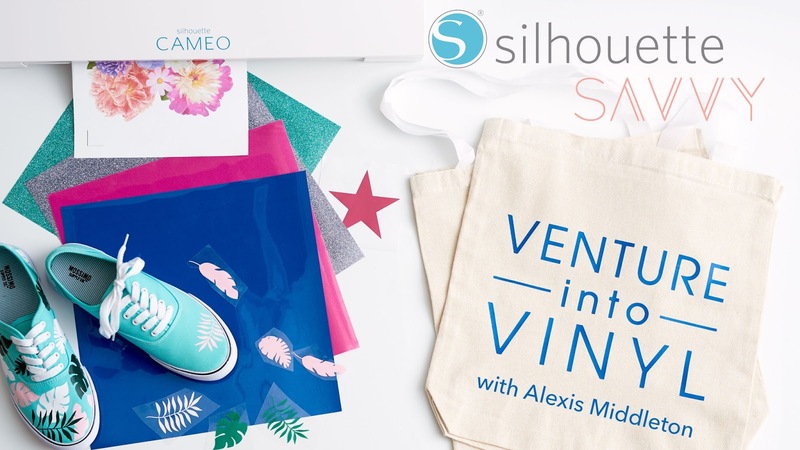 Check out over 20 amazing vinyl projects brought to you by other bloggers to celebrate the launch of Alexis of Persia Lou's new Craftsy Class - Silhouette Saavy: Venture into Vinyl, a brand new online video class that will teach you everything you need to get started cutting vinyl with your Silhouette. In the course, Alexis will walk you through creating eleven different vinyl projects. You will get all the cut files you need as well as video guidance for each step, and you will learn techniques such as layering adhesive vinyl, cutting large-scale decals, using the print and cut feature with printable heat transfer material, creating vinyl stencils for screen printing, and more. 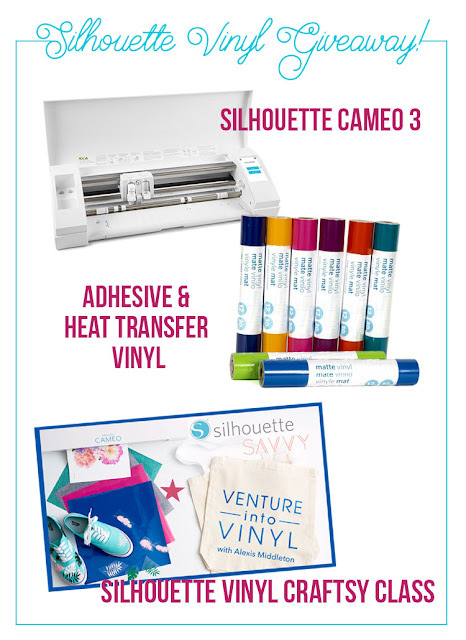 Thank you to Expressions Vinyl for providing awesome vinyl to our awesome bloggers, and thanks to Persia Lou, Silhouette, and Craftsy for sponsoring our giveaway! Don't miss all of these amazing vinyl crafts - so much inspiration! Good luck and happy crafting, friends! I seriously cannot wait to make this! It is gorgeous! Oh this is so GORGEOUS and FABULOUS door sign! Amazing, so pretty. Are the paper elements in the silhouette store? for the Pine, and sprigs?